Grind coconut, chili powder, turmeric powder, cumin seeds and curry leaves. Cook potatoes along with salt, green chilies, drumstick, enough water and the ground mix. Close the lid and cook. 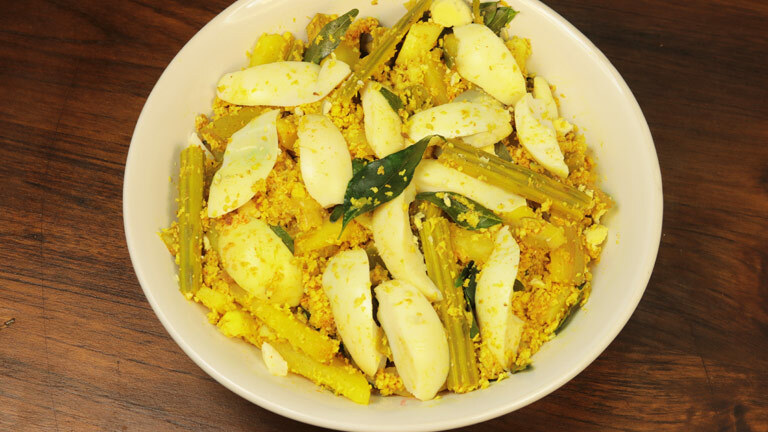 Add cooked eggs to the masala along with the curry leaves. Close the lid and cook for 3 more minutes. Add 3 tsp of coconut oil and switch off the flame.